No matter how well you read a putt, if you don’t start the ball on the correct line, you won’t make the putt. Like all golf strokes, if the golfer does not have the technique to line the shot up properly, it is difficult to make a good stroke and achieve your goal. 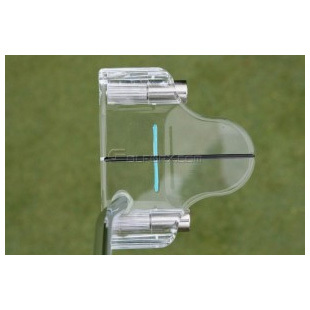 The Clearview Putter allows you to concentrate on reading the green, and distance to stroke the ball based on the read. 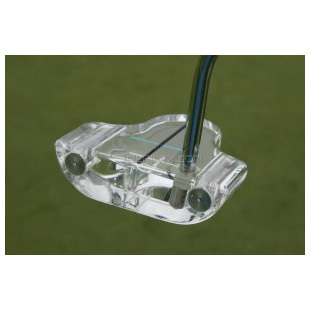 With its unique Dual-Line System, the Clearview Putter helps you properly address the ball before, during and after your putting stroke – setting you up in the proper position and giving you instant feedback if your stroke breaks down at anytime! The set up is the key to every stroke in golf, whether driving, approaching, chipping or putting. Without a repeatable set up the chances of putting a good stroke on the ball is diminished drastically. 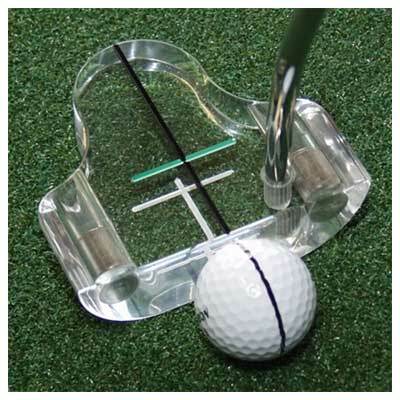 Using the Dual-Line system, the player will have the ability to set up properly and consistently every time. So with the Clearview Putter, you are not distracted by a solid face … you concentrate on the line on the top of the putter. • Available Lengths: 29″- 36"
• Most popular model is the offset shaft model. 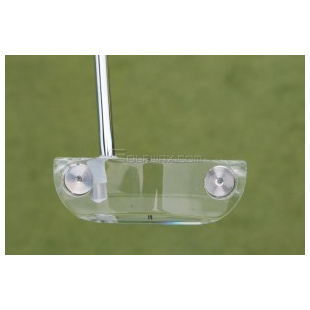 Offset shaft putters are the choice for 93% of golfers.